This thread is dedicated exclusively for those students currently enrolled in the InterNACHI online video course titled, "Inspecting Asphalt Shingle Roofs." Upon successful completion of this course, the student will have a good working knowledge of the inspection of asphalt shingles, including identification of the different types, performance and aging characteristics, common defects, and wind and hail damage. Special thanks to Kenton Shepard, InterNACHI Director of Green Building and International Development, for the content -- the result of two years of exceptional research, photography and writing on the inspection of the five major steep-slope roof-covering materials. Ben, lots of editing errors in the videos and the quizzes. Information was still great, just "cosmetic" issues. If you send them to me, I'll see what I can do to correct them. Not a problem. It is still littered with many errors in all the quizzes including the final. Here are some of the questions from the final I copied with errors. The ice damn questions is the wrong question for those answers. In asphalt shingles, a _____ goes entirely through the shingle and a _____ is limited to the surface of the asphalt layer. Ice dams typically form when runoff from snowmelt reaches a(n) _____. T/F: When properly installed, staples offer close to the same wind resistance as nails. Wind warranties are typically _____ than the standard asphalt shingle manufacturer’s warranty. I had a question about how many CEs this course is worth. On the Internachi Member's only section, it says that the asphalt roofing course is worth 8 CE. At the top of this forum, it says 12 CE. Hi, Jeanet. It's worth 8. I think I'll give this course a go. 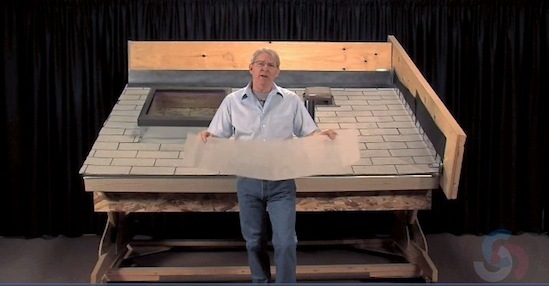 You can never learn too much about roofing. Just completed this course. Coming from a carpentry/construction background and fairly familiar w/ the subject, I enjoyed the course and even learned a few things about shingle composition I didn't know. was fortunate to watch as this roof was installed. the main roof is a hip roof. all flashing appeared properly installed, proper nailing procedures were followed. a 15lb underlayment was rolled and a architectural fiberglass asphalt shingle was used. proper overhang to gutter is consistent. Hi, my name is Alex I have a picture of some 50 year laminate asphalt shingles showing the valley with a cut edge on the left side of the valley making it a functional valley and all the shingles you can see are bonded correctly and functional as well. I have gone through the checklist provided and performed an inspection on my own house. I inspected the covering materials from the ground, a ladder, and the roof surface itself. I inspected to gutters from a ladder and the ground surface. The vents, flashing, skylights, chimneys, and all other penetrations were inspected from the roof surface. I inspected the general structure of the roof from the ground. The type of roof coverings used is a 50 year laminate shingle that looks less than 10 years old but more than 5 years old. All the shingles were functioning and well bonded. The installers used a tarpaper underlayment, the correct type of starter strips, roofing nails, and drip edge underneath the tar paper. All valleys and flashing and chimneys are functioning. The roof is vented through the soffit and along the ridge of the roof. The only problems observed were slight sags in a few areas of the eves on the look outs of the gables probably caused from the look outs or overhangs extending out to far for the weight of the sheathing and shingles. Also the fascia is made out of wood and has weather damage and rot.